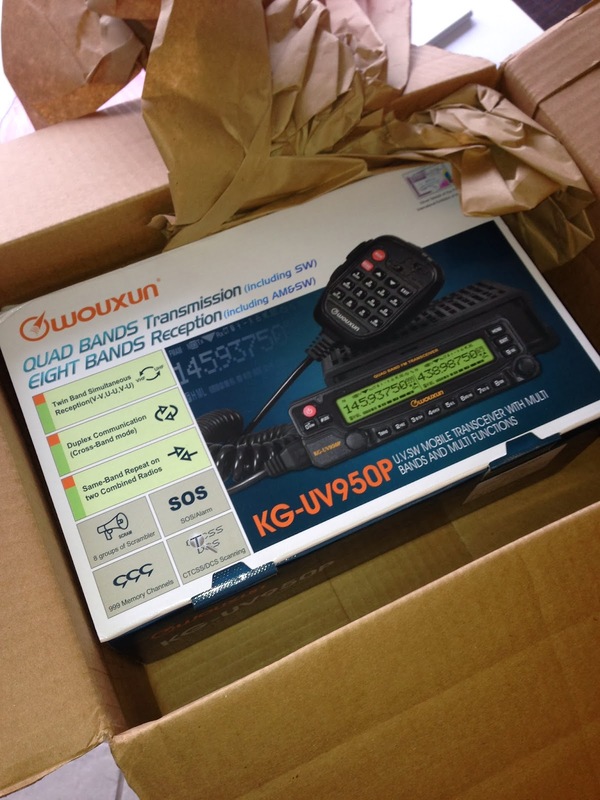 Thanks to the kind folks at BuyTwoWayRadios.com, I have a KG-UV950P to play with for a few days. I don't have a sophisticated bench to do a lot of in depth analysis, but put your requests and questions in the comments if you want me to look at something specifically. Looking forward to any insights you have. This radio looks very interesting to me. Im very interested too. If it is as nice as im hoping, i will be adding this to my setup. I know this may be stretching it, but if there is any way to open up the bands, i would like to know if it will cover 40-50mhz recieve. I know there has been nothing mentioned about it, but i figure it isnt too much of a stretch since it already covers the 6 meter band. The 950 would not allow me to enter any frequencies in the 40-49 MHz range. Darn, i was really hoping that it it might have. I have been waiting for one of these chinese radios to cover VHF low, whether it is a portable or a mobile, but they just dont seem to have any interest in it, even though there would be a pretty big market for it. I dont want to spend another $300 for a second lowband radio, but if i were able to get one of these multiband chinese radios that would cover more than just VHF low, it would be alot easier to justify. I'm thinking of this as a first mobile radio, I currently only have HTs. I primarily use 2m &70cm, but I was thinking if I'm going to put money into a mobile radio, might as well get one that transmits on 4 bands and receives on twice as many, right? Should I wait to get one of these or is there another good suggestion? Thanks! Until Wouxun fixed the initial problems I found, I would recommend the Yaesu FT-8900R. I would recommend taking off the knobs before removing the faceplate. I would be interested to know the scan speed.Approximate channels per second, doesn't have to be exact. Most of the Chinese radios seem to craaawwwll through the list.